I love running in the rain. 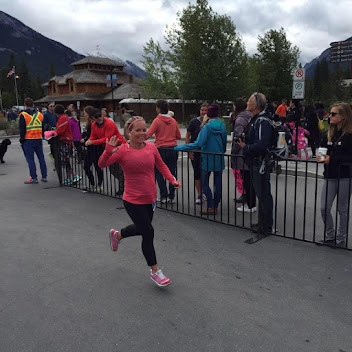 I have been running in the rain wearing my Lululemon Downtime Jacket. The downtime jacket has been available in stores in various patterns and colours but this particular one was from the 2014 SeaWheeze and was sold out by the time I got into the Showcase store but I found it about 8 months later here in Calgary. It retailed for $148 + tax and I got it for $80. I love this jacket so much it is ridiculous. 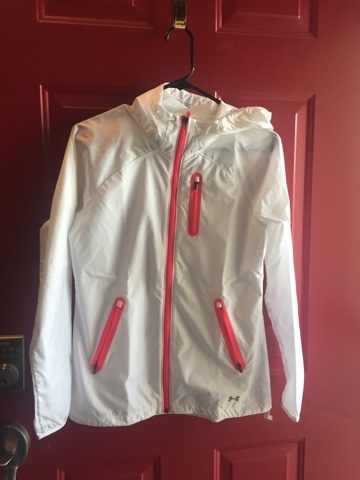 This jacket is lined and is actually designed to take you to and from your early morning runs not while you were running like I did. It is water repellant, not water proof so I would be wet when I got home from runs if it was raining hard enough. It did dry fast but the hood did not and I have proof of that during the Harvest Half last fall. All this lining in vintage pink makes this jacket very pretty but also very heavy and very warm. 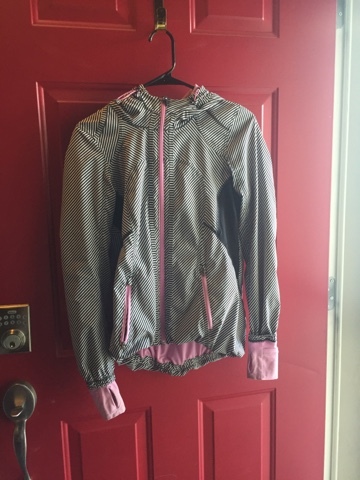 I wanted a new running rain jacket for awhile now but Lululemon didn't come out with one I liked enough (or it was just too $$$) and I didn't like anything at the Running Room or MEC. Greg found this Under Armour Storm jacket at Sportchek for me for $90 but I signed up for their 10% off coupon which helped make it about $10 cheaper. It came in this colour or grey with bright yellowish green zippers, it was also $20 cheaper but the extra money was worth it in my opinion. 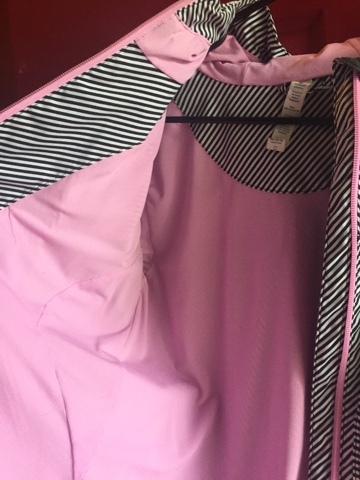 The zippers are pink not orange as they appear in these photos. It's fitted which is nice and it has a hood that you can tighten which I also liked about it. It is made out of UA storm technology (hence the name of the jacket) that repels water but stays soft and breathable. 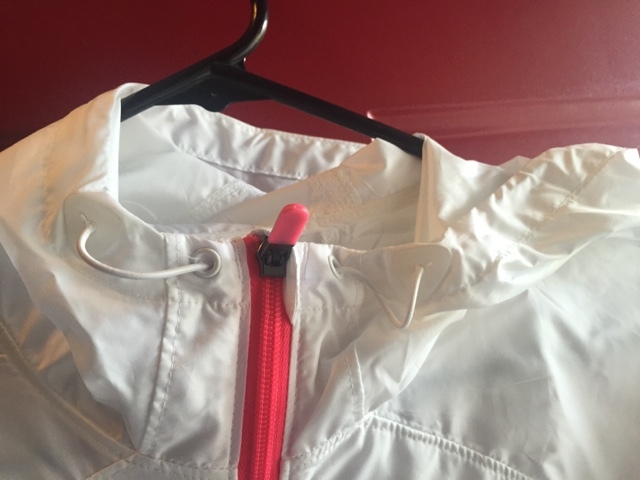 It's not lined which makes it light and cooler which is ideal when you are running. It has a back mesh vent for extra breathability. I am now praying for rain so I can wear it hahahaha. Last month I bought a new rain shell for camping, hiking and walking the girls to and from school. I previously had a pink one that I bought on clearance from the kids section at MEC. I loved it very much but wanted something more neutral and something a bit longer in the sleeves hahaha.